Think about it: adding a standing-height option to your office space is an invigorating idea. It’s a great morale and productivity booster. Ergonomic specialists tout the health benefits that are backed by sound research. All evidence points to the significant health and productivity benefits of incorporating standing into your workday. Today’s 9 to 5ers must sort out the pros and cons for themselves. Can you afford not to incorporate standing-height desk options into your workspace? As revealed in this newly released report by National Business Furniture, the pros for adding standing-height solutions into offices and common spaces far outweigh the cons. It also describes a variety of affordable standing-height furniture and equipment options to address a diverse range of workplace environments. Get a complimentary copy of the White Paper Report at nbf.com/standing-desk-benefits. 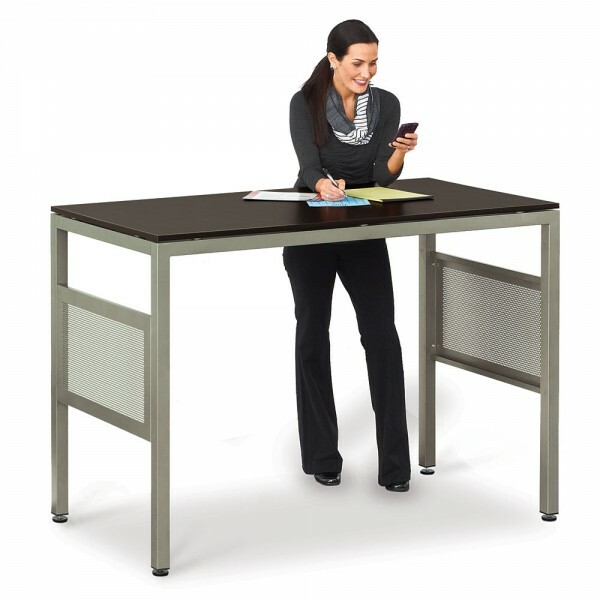 Take a stand for your health and productivity while at work!